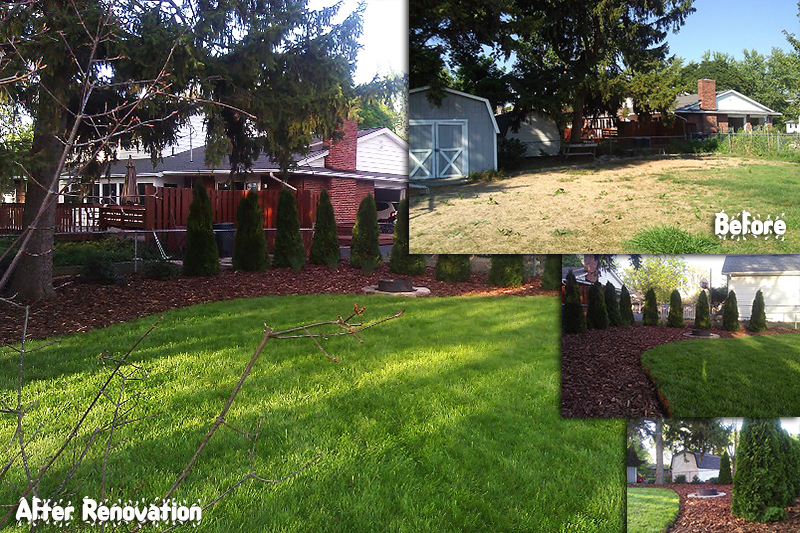 We killed all existing turf and replaced with a custom made 80% Turf Type Tall fesque Transition Blend. How? 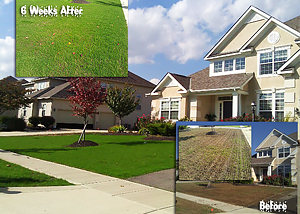 We slice seeded through the dead turf, installed the landscape & plantings. 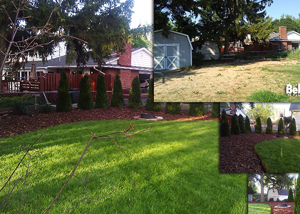 Our Diagnosis: Lawn was dead from grubs. 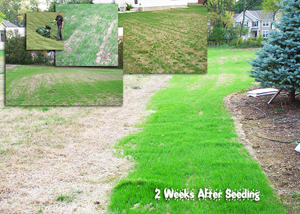 We recovered it to 80% with a blue/rye blend in six weeks. This project took us about 45 minutes to complete. Provided detailed after care instructions. 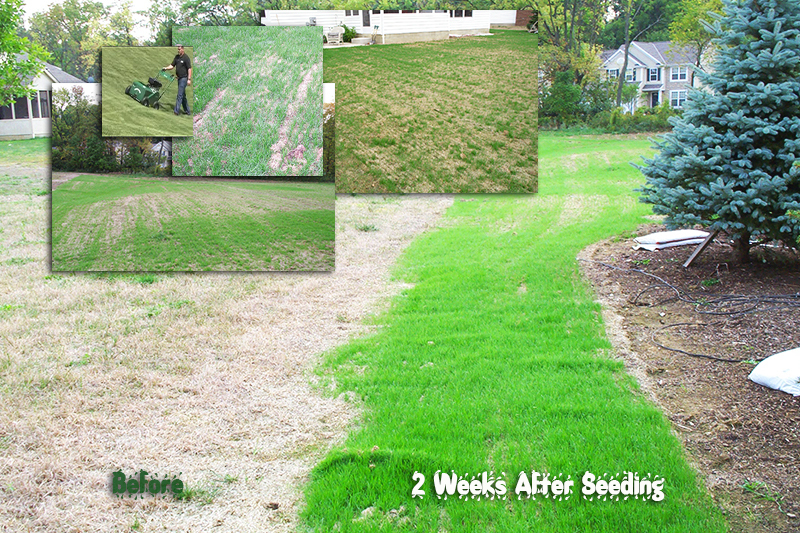 Slice seeding (AKA slit seeding) can quickly replant entire lawns even without removing the previously dead grass. 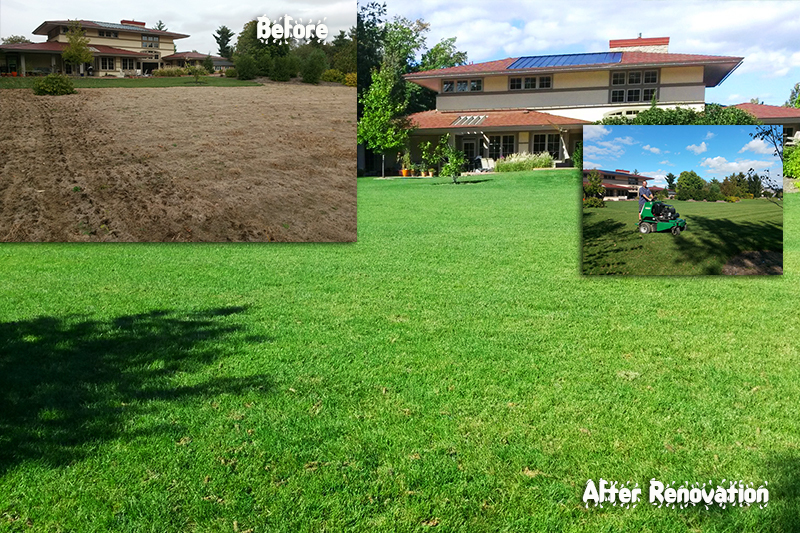 These lawns were dead from drought. 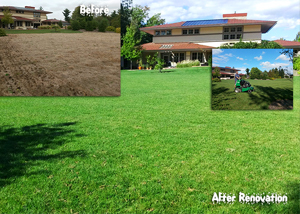 Here are some pics 2-3 week after our visit. 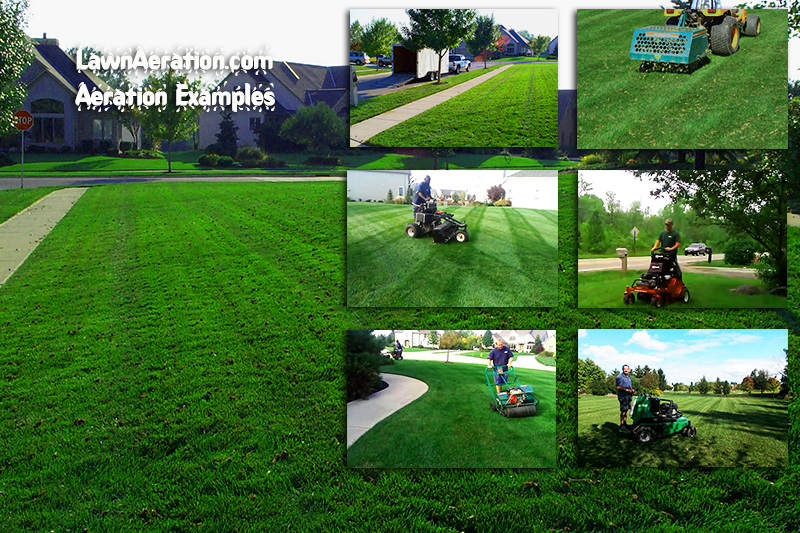 We have aerators for every application. There's no job too large for us. 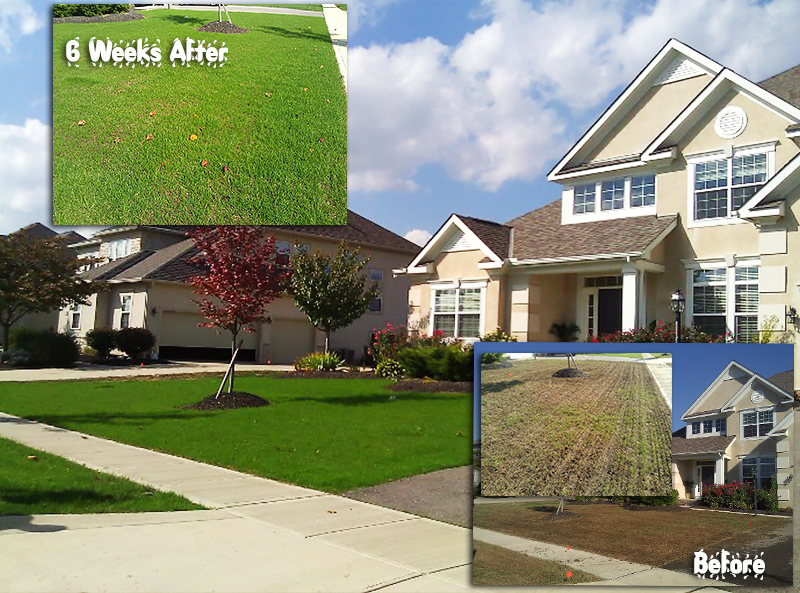 You can be sure you'll see the best possible results! 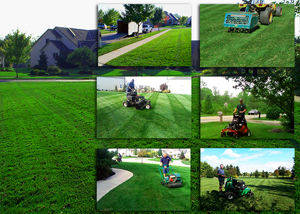 We are the industry leaders with more experience, knowledge, and equipment. 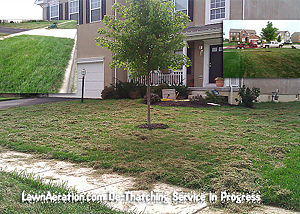 De-thatching is a messy process, but is required in certain rare instances. 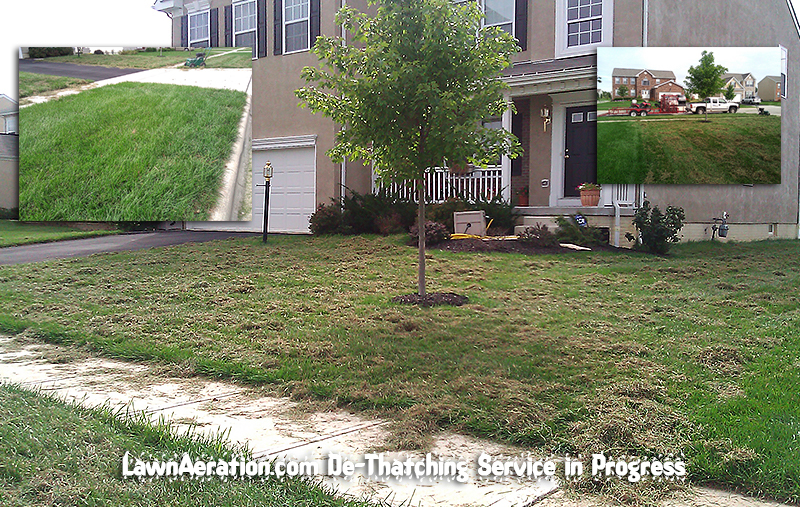 Frequently, de-thatching is requested or recommended by another company when it's actually not needed.